Japan’s APT international label teams up with the much-hailed Tokyo Black Star for an EP of old school house and futuristic machine funk backed with a remix from Hideo Kobayashi. 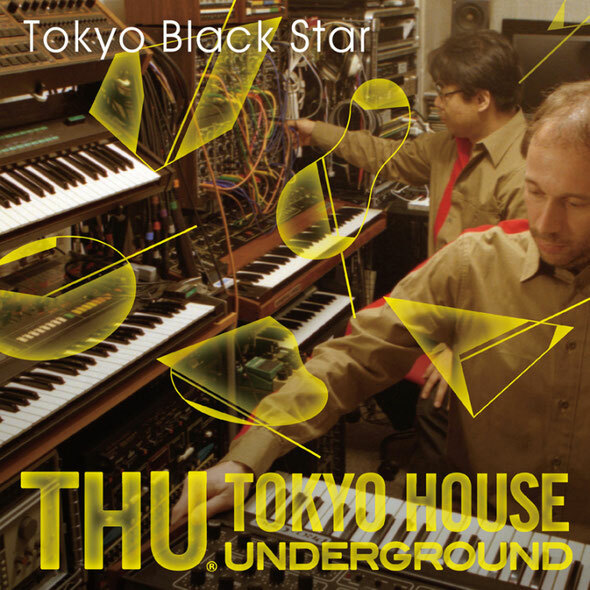 Production duo Tokyo Black Star AKA Alex Prat and Isao Kumano have made quite a name for themselves over the past few years, releasing a string of singles for leading labels such as Innervision and Deeply Rooted, remixing for luminaries such as Carl Craig and playing live to audiences across the globe. Now the Tokyo/NYC based pair have joined forces with one of Japan’s most respected electronic labels, APT international for a brand new single. ‘Tokyo House Underground: Together EP’ kicks off with the original mix of ‘Together’, a raw house workout that fuses bold piano chords, arpeggiated synths lines and stark drum programming with edgy FX and soulful vocal hooks to wonderful effect, evoking an old school feel with its bold fusion. Next up is ‘New Jack City’, a jacking cut built around a Moroder inspired bassline and tight percussive elements that has an electronic funk to it that is hard to ignore, hypnotic to the extreme this is one of those records that could just run and run. Finally APT International favourite Hideo Kobayashi remixes ‘Together’, turning in a rolling techno version that locks into a deep and dark groove before metamorphosing into an uplifting melodic drop designed to get the hairs standing on end. Out 25th April.